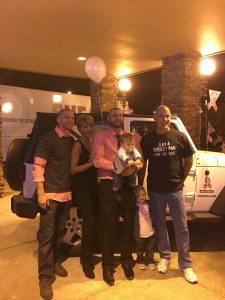 A great time was had by all at The Rock with the 3rd Annual Breast Cancer Awareness event ! 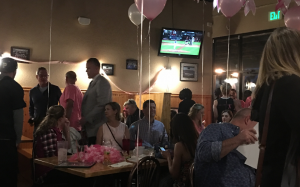 It was a packed house for a phenomenal event, as lots of people showed up! 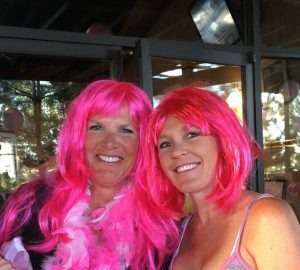 The silent auction offered great options with the proceeds going to the local charity supporting breast cancer research. 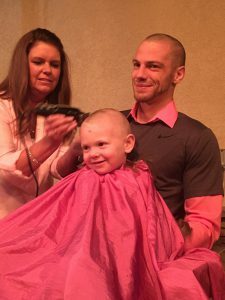 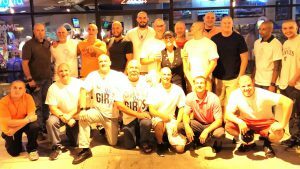 The family showed up to support the cause, notice the shaved heads! 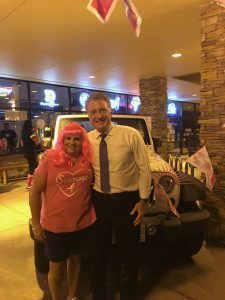 Local celebrities, including Mike Nelson, shown here with Stephanie Duran Case Birely, showed up! 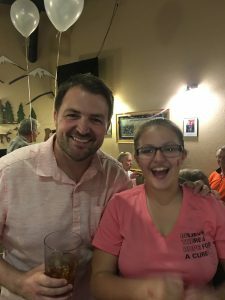 And of course any event at the The Rock cannot be complete without an appearance by Eric Lupher, shown here with Caley, a young volunteer! 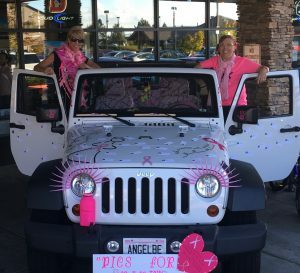 Carol brought Herschel the Breast Cancer Jeep out, shown here with Carol and Barb. 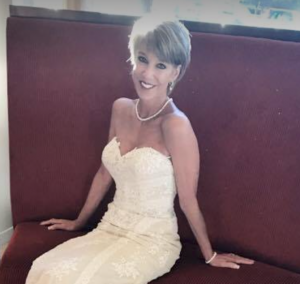 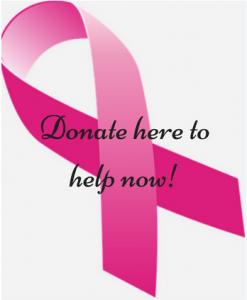 Let’s help breast cancer victims and their families.